Nubia museum In the early 1960’s, when Egypt built the High Dam at Aswan, Egyptologists and archaeologists the world over heeded UNESCO’s appeal to salvage the monuments of Egyptian Nubia before the rising waters of Lake Nasser submerged them forever. More than sixty expeditions ultimately joined the “Nubian Rescue Campaign”, which resulted in the excavation and recording of hundreds of sites, the recovery of thousands of objects, and the salvage and translocation of a number of important temples to higher ground. 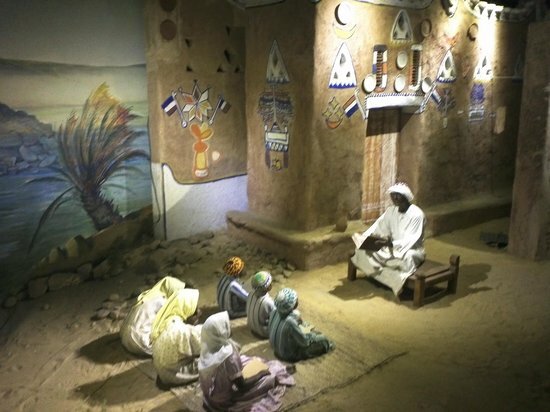 Due to the quantities of material recovered from tombs, temples and settlements, UNESCO was encouraged in the 1980’s to plan a new Nubian museum in Aswan where the objects could be stored and exhibited. It was universally felt at the time that they should be kept as close as possible to their principal places of origin. Nearly twelve years later, the Museum became a reality and opened its doors in November 1997. 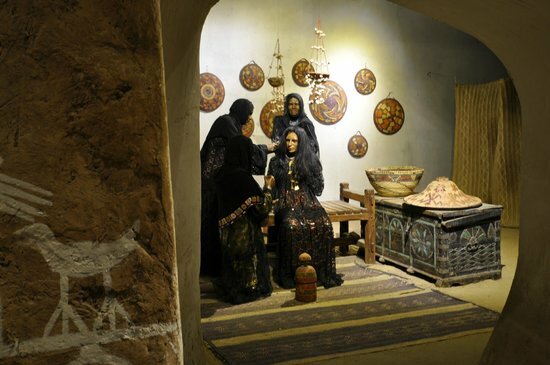 It was designed by the late Egyptian architect Mahmoud al-Hakim, and Mexican architect Pedro Vasquez Ramirez designed the museum’s interior display. 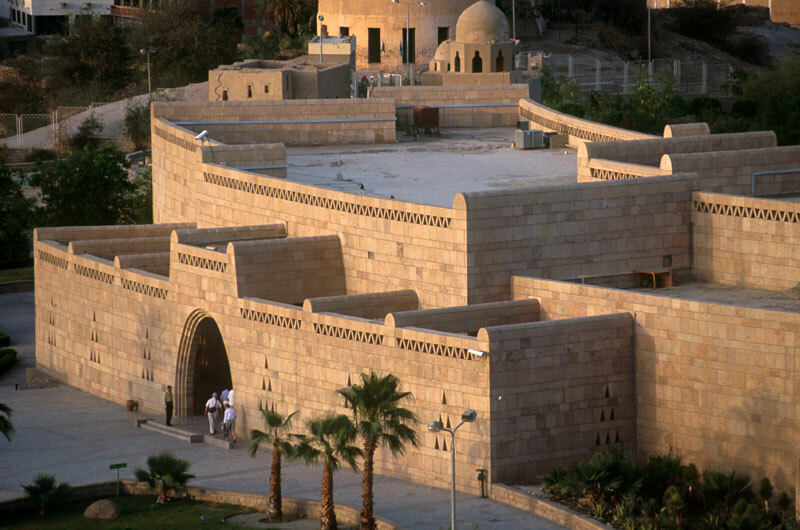 architecture, as it was along the Nubian Nile before the region was flooded by Lake Nasser. The building is set within a landscape, on graded levels, that includes a sequence of waterfalls. When the waterway reaches the lower part of the garden, it divides into 2 branches to surround an open-air stage and amphitheater where already many local and foreign groups have performed. The remaining 43,000 sq. m. have been planted with palm trees, flowers, and climbing plants, spread over natural rocks. An outdoor exhibit is planned for the garden, but at the moment only a small section is ready. The project is a beautiful resolution of a long-awaited dream.